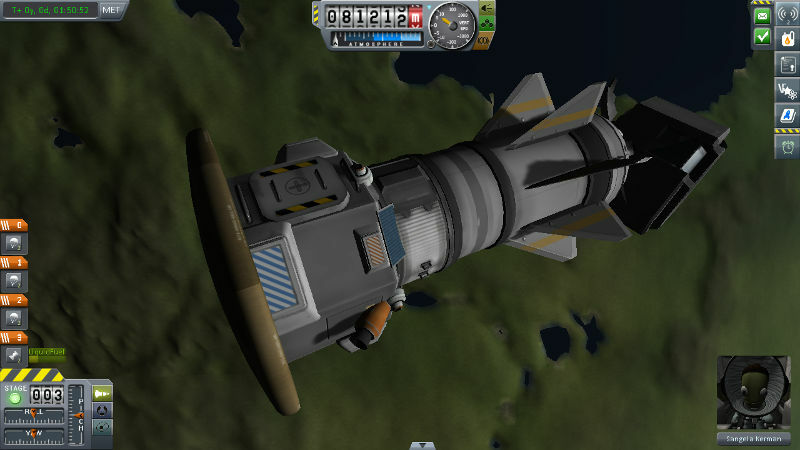 An agile LKO rescue / assembly / cleanup craft. Swap out grabber for docking port if you please. I quickly realized it was especially well-suited to cleaning orbital debris – it can go from 75K orbit to <20K and back several times, hauling <1T parts each time, before fuel is exhausted. A stock rocket called 0R Dragonfly. Built with 49 of the finest parts, its root part is landerCabinSmall.